A captivating narrative tells a story of the early generation of Chinese immigrants who settled in New York City. 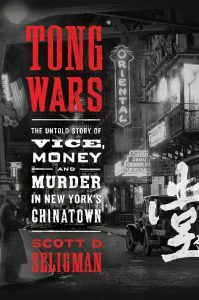 Scott Seligman, China-hand and journalist by background, transports us into the violent and corrupt streets of New York’s Chinatown at the turn of the 20th century. The research uncovered by this work qualifies the author as a historian as well, as he details the decades of incidents surrounding two rival brotherhoods using volumes of both published and unpublished documents. 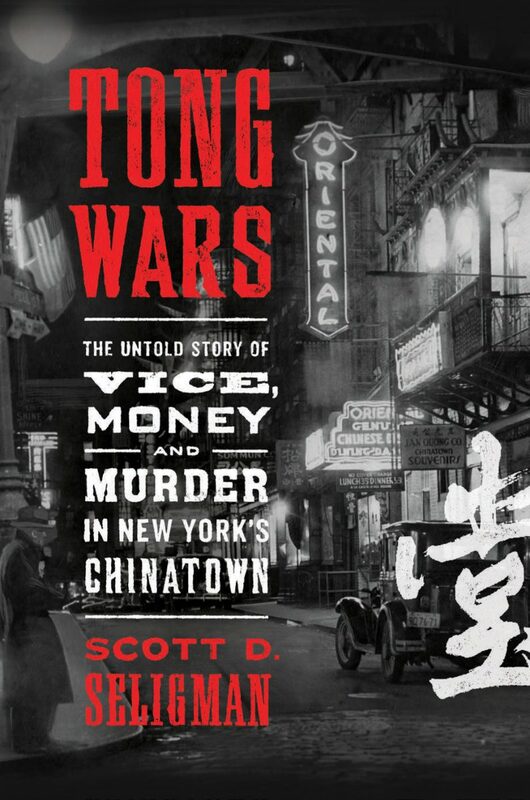 On the surface “Tong Wars” is the true story about Tom Lee, who arrives in NYC with the intent of helping to strengthen the Chinese community in Manhattan. As is frequently the case with ambitious newcomers in well-established big cities, the lure of quick money and power turns Tom’s focus to the underbelly of society, and he quickly becomes aligned with corrupt law enforcement, politicians, and criminal activities. In addition to legal restrictions (The Chinese Exclusion Act of 1882), blatant discrimination goes unchecked, and as a result, the tongs become surrogate organizations providing belonging and protection. The stories of conflict between rival groups On Leong Tong and the Hip Sing Tong are underpinned by significant details extracted from historical archives. This level of detail lends credibility to the real stories told that might otherwise seem to be lifted from the big screen. The true value of this book is that it causes one to pause and reflect on today’s real-world struggles of minority groups arriving in new lands, hoping to preserve some of their culture while pursuing their dreams to achieve success and stature. The reality of living in a country where you have no social, economic, or political currency is understood by very few. In reading this story, the reader will find himself in conflict by sympathizing with the concept of achieving power by any means. This untold story of Chinese immigration captures a fascinating perspective and gives reason to question how modern-day societies continue to create formal and informal mechanisms of exclusion. You can find much more information on the book at www.tongwars.com. Order your copy today from Amazon.com! Anna was one of the six women featured in Get Ahead By Going Abroad: A Woman’s Guide to Fast-track Career Success. To read more about Anna’s perspective on leadership, check out her blog, Shades of Leadership. 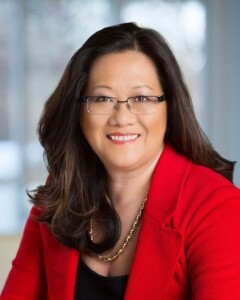 Anna Catalano is a board director, a wife, and a mother of two, and involved with organizations and causes that are making a difference in the world.